Your host at No See Um Lodge: John Holman, Owner. 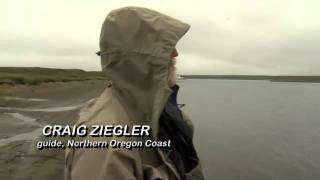 No See Um Lodge is a family-run fishing lodge that was established by Jack Holman in the early 70’s. Today his son, John, who is both a pilot and a guide, maintains No See Um’s well-earned reputation for pampering and pleasing its guests. John has been living, fishing, guiding and flying in Alaska for most of his life. He and his guides know the best fishing spots and how to get you there safely. 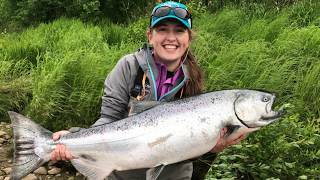 Everyone at No See Um is anxious for your trip to Alaska to be “the trip of a lifetime.” The lodge is staffed by the finest talent available. 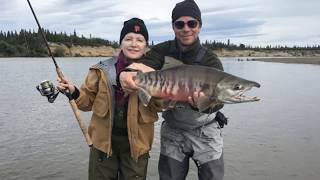 Guides are eager to make your Alaskan fishing vacation successful. Their knowledge, enthusiasm and instruction will ensure success for the novice and expert alike. Fly-fishing experience at No See Um Lodge: FISHING IS WHAT WE DO. For over 40 years we have been flying and guiding anglers throughout Bristol Bay. There are a few other lodges that can boast that many years but none that have fine-tuned the operation like No See Um. At a maximum of twelve guests per week, our fleet of three DeHavilland Beavers goes out with a maximum of four anglers and is committed to those anglers all day. We don’t drop and go back for more as is the case with most lodges. This ratio of guests to aircraft also allows for the greatest flexibility in the industry. We have the ability to fish more than one location in a day and always have the option to “head in for cocktails” if the weather or an emergency pushes the issue. On days that weather doesn’t allow for safe flight, we have the option to use boats to access our home water, the Kvichak. The Kvichak River is one of the largest rivers in South West Alaska and home to the largest trout in the world. It also boasts the largest annual sockeye salmon runs on the planet as well as all other species of Pacific salmon. Many days our best fishing option is a 10 min flight from the lodge to the braids where we use small jet boats to access fly fishing water. Each evening we discuss the options for the following day and make a plan based on personal preference, weather and physical considerations. Our “perfect” location means that our typical flight times are five to thirty minutes with our furthest destination being one hour away. Click here for quick link country guide. Tuesday through Sunday are all-day fishing days. The structure of our fishing program gives us unparalleled flexibility and because of this there’s no “typical” day. Every day the rivers we fish are decided on based on fishing and river conditions, weather, and guest input. It’s a customized fishing experience. Breakfast time will be determined at dinner the evening before, but generally is between 6 and 7:30 am. You will be woken up 15 minutes before breakfast with a knock on your door and cup a freshly brewed coffee. After breakfast you will fly out to your fishing location and will remain out all day. Lunch is packed fresh every morning and will be carried by your guide and eaten on the river. You will arrive back to the lodge one hour before dinner, appetizers are served in the guest house at this time. Dinner is generally served 12 hours after breakfast. So for example, if breakfast is served at 7am, you would arrive back at the lodge at 6pm and dinner would be at 7pm. During dinner, plans will be made for the following day. On your departing Monday, breakfast is served at 8 am. You will depart the lodge at 9 am. Our pilots will fly you back to King Salmon where you will board the TransNorthern charter to Anchorage. The flight departs King Salmon at roughly 11 am and lands in Anchorage around 12:30 pm. You will want to allow plenty of time before your connecting flight as you will need to check-in with the airline and get through security before continuing on. We recommend giving yourself at least two hours before your connecting flight. 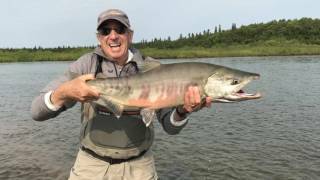 Round trip airfare between Anchorage and King Salmon Transportation from King Salmon to the lodge and back (on Monday’s only) All lodging and meals throughout the week All flies and other terminal tackle. Loaner waders, boots, rods and reels are available if needed. We can accommodate up to 12 guests per week. The main guest house is comprised of four double-occupancy rooms each with a private bath. Click here to view your accommodations. To select and book the top suggested hotels and accommodation in the area when fishing at No See Um Lodge, click here. by car or public transport to No See Um Lodge.